Mythology apart the album sounds primitive, home made and home grown. The sound recalls the ambience Neil Young created with Campaigner, stripped down but chockfull of emotion. It’s intimate and ultimately very personal with songs relating to the death of Belcher’s father dominating the latter part. Much is said about the redemptive power of music and one hopes that these stark and dark tales ultimately did some good for the author. For the listener it’s hard going at times but glory can come from misery. The canon is stuffed full of songs from disenfranchised black bluesmen, poor sharecroppers, troubled minds. Trailer Star mines the same seam as the late Skip Spence on some of the songs here. The fragility and the feeling of being on the edge of toppling over is balanced by the skeletal beauty of the songs. 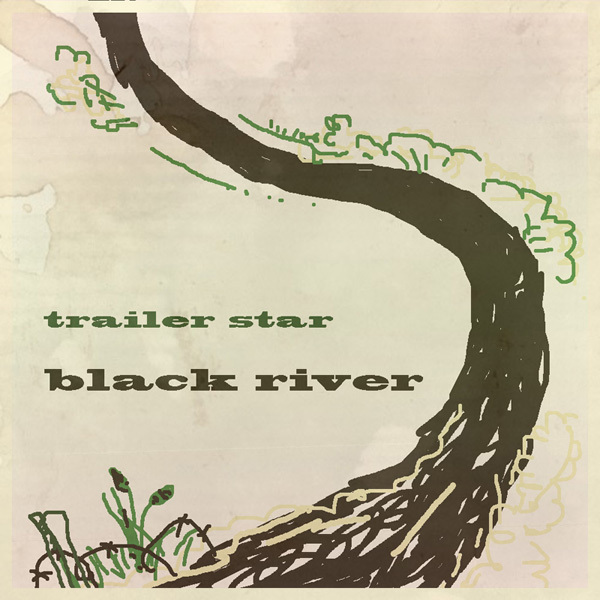 The album is available in several ways, in fact the whole story of Trailer star can be read on the website where the various albums can be listened to and even on occasion downloaded. Head over there to look at the whole impressive saga. Shaun Belcher’s unique creation Trailer Star appears on two albums, the first by Trailer Star himself, Suit of Nettles. The second is a beautiful tribute album, Moon Over the Downs on Super Tiny Records, dedicated to the tragic victim of a automobile accident “on a deserted downland bend high above Newbury.” It uses Trailer Stars lyrics set to each of the performers’ own compositions. Trailer Star has the same relationship to Belcher as the nearly real artist Nat Tyler has to his creator William Boyd. Though there is fun to be had in “signalling” Berkshire born and bred Trailer Star’s “pivotal position in the development of English country blues” this is a project with lyrical and musical depth. Belcher on Suit and the dozen plus musicians on Moon play and sing it straight, exploring non-metropolitan England through varieties of American form. Oh, and £4 from every sale of Moon goes to Cancer Research UK. Trailer Star , a singer songwriter and poet from Oxford and like the title says, these are rough demos of an album due in 2002. Just an acoustic guitar and voice (folky and Cohen-like at times) but there’s enough quality to warrant investigating the fully realised version of these songs. Since the first stirrings of the genre in the late 1980’s – with the release of cover albums of the songs of Syd Barrett, Captain Beefheart and The Byrds on Imaginary Records – the tribute album has become a small, but important, part of the record business. With most of the more obvious candidates having been honoured, the compilers/organisers of the more recent tribute albums have had to widen their remit to include mainstream MOR artists (Tribute to Garth Brooks anyone?) 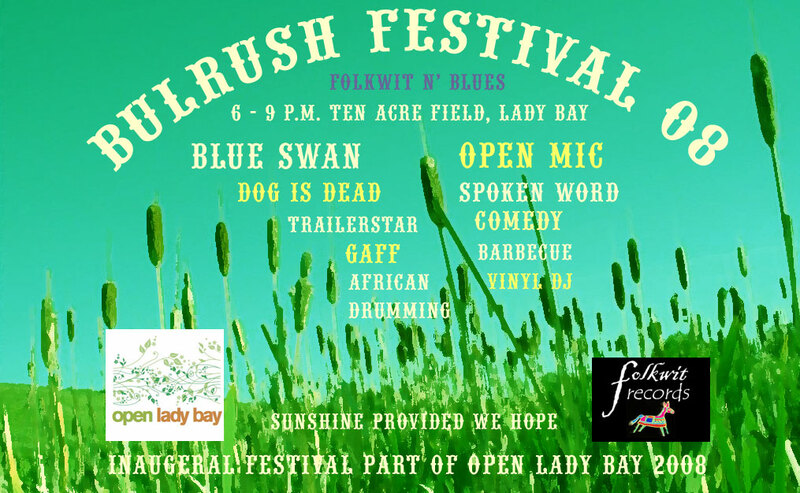 as well as delving deep into the territory of cultdom (More Oar – a replication of Skip Spence’s poor-selling, but critically acclaimed 1969 album) or increasingly tortuous hybrids of styles and artists (You can currently enjoy your Dylan tributes in reggae, blues, bluegrass or gospel flavours, if you so wish!). 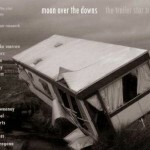 When I first stumbled across press for Moon Over Downs, the tribute album to Trailer Star, my initial thoughts were dismissive: a minor US talent who probably stayed unknown for very good reasons – not every new discovery can be a new Nick Drake, or even a new Skip Spence. On closer reading it soon became apparent, from the tongue in cheek descriptions and various unsubtle clues, that the Trailer Star depicted was a mythical figure and had never existed (or at least not in the form stated) and that the source of the songs was Shaun Belcher – a freelance writer and published poet from England. A little research uncovered the facts that he has run a website “Flyin’ Shoes Review” since 1999 (which is dedicated to literate songwriting and claims to be “independent in mind, body and spirit”) and that he had also had some musical ambitions under the title of Trailer Star. Some of the artists gathered together on the album I knew of, others were unknown, but my interest sufficiently piqued, I decided to buy a copy and give it a listen. My expectations were not exactly high, but even after a first listening, it was obvious that the album was more than just another vanity project and that the combination of Belcher’s lyrics and the artists’ music and performances worked very well indeed. The whole album stands or falls on the quality of Belcher’s lyrics. Fortunately, they are very good, with several nice twists and turns in his lyric writing that show him to be a man for whom words and their order mean a lot. Several of the songs have American subject matter and, luckily, Belcher is steeped in enough Americana to make them sound true and honest without having to resort to too much lyrical ventriloquism. 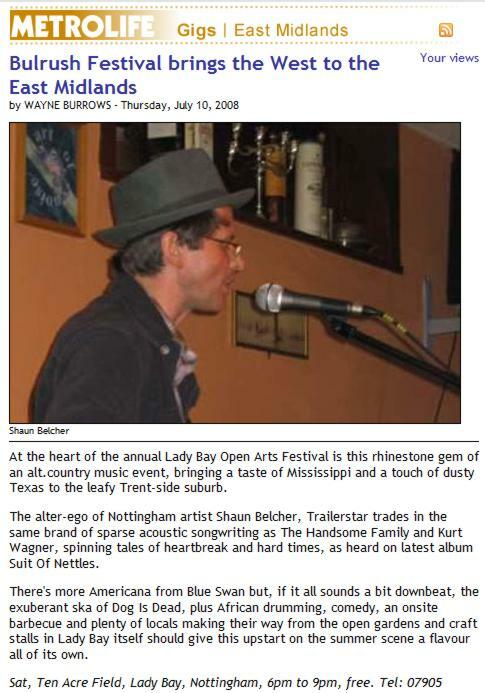 Belcher’s lyrics with English subject matter are also astutely handled, but whereas you feel that he’s reaching back to the country, folk and blues acts of the mid twentieth century as his inspiration for the “American” songs, when he’s tackling his homeland you feel his touchstone is as likely to be Hardy or Houseman as any current musician. ‘Donati’s Comet’ and ‘The Lynton Flood’ explore historical events and prove that an English sense of place should be no handicap to creating a mythological landscape for song, and that one shouldn’t try and echo American archetypes when they are inappropriate. Due to the constraints of time and budget many of the songs are quite sparsely arranged – although probably more varied stylistically than I would have expected. Some of the acts on the record have opted for the default mode when providing music to accompany Belcher’s dark lyrics with many of the songs ending up covered in the windswept dust of the American mid-West. Not everybody decided to go down this route and Deanna Varagonna’s jazzy-bluesy reading of “Bled Dry” evokes the jazzy-blues of pre-War St Louis, while Jim Roll approaches his song from the powerpop angle adding handclaps and squeeky organ to make the most upbeat song on the record. More variety comes from this side of the Atlantic with Steve Roberts very Mersey-pop take on roots styles, without ever being derivative and Cicero Buck’s “November Rain” is light and breezy confection that floats along. Other highlights on the record include Robert Burke Warren’s self-harmonising on “Ghost Of What Might Have Been” and James McSweeney’s album opener, “My Little Town”. When you’re down and on your knees, you often find that life’s even more ready to put the boot in than normal. In a particularly bad week in November 2002 Shaun Belcher first found himself unemployed and then a couple of days later discovered that his Dad had been diagnosed with cancer. Feeling powerless in some ways, he resolved to take control where he could and decided to initiate some kind of a charity event. A couple of months later and feeling his musical endeavours were leading nowhere, on a whim, he killed off his songwriting alter-ego, Trailer Star, by emailing the contacts in his address book of his decision. An email interchange between Belcher and Terry Clarke, a long established singer-songwriter from Berkshire, resulted in a change of direction in Belcher’s thinking: Trailer Star would indeed be killed off, but by getting together a group of musicians to cover some of the Trailer Star (aka Shaun Belcher) material, Belcher could probably assemble enough material to make an album and then use the sales to raise money for charity. The response from the people he had contacted was excellent, with only a handful of acts being too busy with prior recording and touring commitments to submit songs. Kris Wilkinson of Cicero Buck was one of the first people to come on board and was instrumental in helping making the plans concrete. Wilkinson and her partner Joe Hughes had created the Super Tiny Record label to release the first Cicero Buck album and offered to release the album as well as recruiting other sympathetic musicians to the project. “I think I could have struggled on in both time and money and released the CD about Spring 2004, but she brought a lot of American ooompth to the project and next thing you know she has brought in Deanna Varagona and Claudia Scott through her Nashville contacts which was fantastic,” explains Belcher. “She and Joe Hughes also helped put up the money to release the project, which I am eternally grateful for, as I soon found CD releasing and mastering and promotion was not a cheap pursuit. I put some toward the cost and they covered the rest.” Cicero Buck also helped bring the official Cancer Research UK status to the album. With all the constraints of time and communication the only major problem arose when Bob Cheevers wrote and recorded a version of ‘Drowning Moon’, a song that that Brian Lillie had already covered. Fortunately, Bob Cheevers is nothing if not a prolific songwriter and quickly selected and recorded ‘These Wishing Fields’. Rather than let his version of ‘Drowning Moon’ go to waste, he used it on his own solo album (see interview below). Belcher was amazed at the speed with which the musicians were working. “In double quick time we had CD ready to release in July 2003,” he now says, not forgetting to add, ” I’d like to publicly thank all the participants and especially Kris and Joe for their unselfish efforts”. The album certainly holds its head high with any other number of other, more orthodox, tribute albums and rarely betrays its DIY origins and the haste with which it was assembled. The quality of the songs and performances are certainly worth hearing for their own sake, but spending money on the album also gives the bonus of helping with cancer research. (Details of how to order the album can be found at the bottom of this page). Triste spoke with a few of the artists involved in the project to hear their side of the story. Triste: How were you approached to contribute to the project? Jim Roll: Shaun [Belcher] just gave me the concept, told me it was a benefit and offered me the opportunity to adapt his lyrics to my music. I had just finished a record where I put music to lyrics by novelists Denis Johnson (“Jesus’ Son”) and Rick Moody (“The Ice Storm”). So this project was right up my alley! Triste: How did you go about choosing “Clown’s Car” as a set of lyrics you felt you could work with? Anything in particular appeal about it to you? Jim Roll: Yes. Absolutely. I was drawn to the very strong image of the clown’s car (you could make a poster for the song – just by it’s title. It is very visual) — but loved the fact that it was a melancholy love song at heart. The lyrics played out like a Technicolor movie in my head the first time I read them . . . so I knew it was the song for me. I don’t do desperado-oriented folk songs as well as some of the other artists on the compilation. “Clown’s Car” was perfect for my musical sensibilities. Shaun wrote an amazing song in Clown’s Car. It’s heartbreaking. Triste: What was the process like working with someone’s lyrics at a distance? (ie in time and geographically) I presume it wasn’t too unusual for you as you’ve worked with writer/lyricists before on other songs? Jim Roll: Exactly. For me it was a snap. My muscles for this kind of work were already in shape from the Inhabiting the Ball record I did with Johnson and Moody. In fact, this was the exact same process I did with Inhabiting the Ball: Whether it was Belcher, Moody or Johnson, they basically sent me lyrics via e-mail and I got to work on it from my home studio. Proximity, location and timing were all very comfortable to me. Triste: Were you happy with the results? Personally, I really enjoyed the power-poppy feel which set it apart from the other songs on the album – plus adding hand-claps always gives that basic R&R excitement. Also is it true that the song is going on your next album? Jim Roll: I love the results. I know it shocked Shaun when he heard it for the first time. I think he needed a minute or two to adjust to the pop elements (the hand claps in particular knocked him off his stool). But after two or three listens I know he loved it. I think it is a great melody and that it matches his lyrics nicely. I intend to put an alternate mix/version of the song on my next record. I already asked Shaun for permission and he was into it. Triste: Was it enjoyable working with some-else’s baby, rather than your own, or conversely more stressful? Jim Roll: Oh I really enjoy being a part of another persons vision. As a solo artist I am acutely aware of all of the responsibility that goes into a project like this, and while it is ultimately very satisfying, it is also quite draining. So anytime I can be the side man, fiddler, guitarist, banjo player, or simply contribute a single song to a larger project I am pretty much blissed out. I think Shaun Belcher and Super Tiny Records did an excellent job with this project!! Triste: How did you get involved in this project? Deanna Varagona: I believe Kris [Wilkinson] first approached me to join the project: Shaun contacted me shortly afterwards. Triste: How did you go about choosing “Bled Dry” as a set of lyrics you felt you could work with? Anything in particular appeal about it to you? Deanna Varagona: I enjoyed his lyrics quite a bit; but I wanted a story that I could feel coming from my perspective: “Bled Dry” fit being a woman and American more to me than most of the others. Triste: What was the process like working with someone’s lyrics at a distance? Deanna Varagona: Not a problem in general as I often write my own songs lyrics first; I started writing as a poet first; so this can be quite natural. Triste: How often do you co-write songs? Triste: Were you happy with the results? Deanna Varagona: Mostly; it was a fun task. I would have liked a little more time to live with the feel of the story, but that was my fault; as it came at a very busy time for me. Triste: Was it enjoyable working with someone else’s project, rather than your own? Deanna Varagona: I often work with others, i.e. Lambchop, Bevel and others. I often like to sit in or play with new musicians to keep things and ideas fresh. 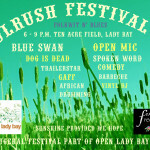 Triste: I believe Shaun Belcher asked if you would participate in this? 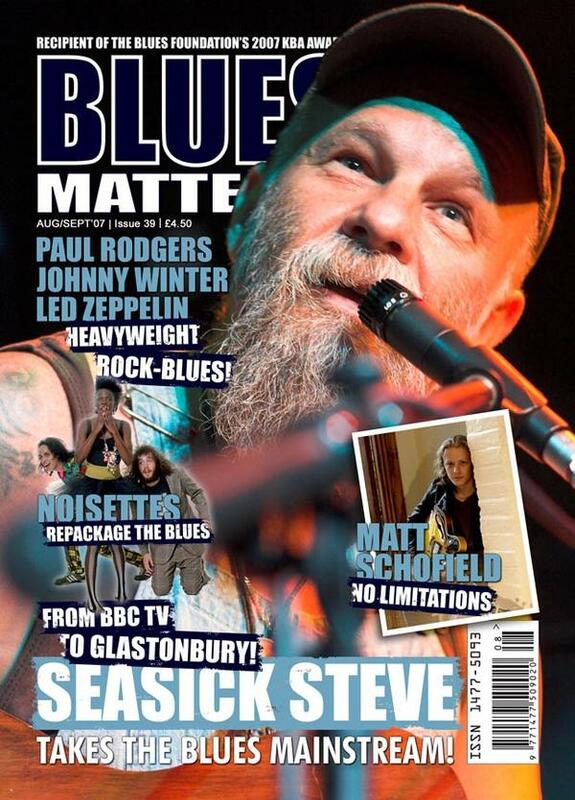 Bob Cheevers: Yeah…Shaun asked me, along with a bunch of other artists who he liked, to choose a lyric of his for the purpose of doing a CD – part of the profits from its sale would then go toward cancer research in the UK. I’ve lost friends to cancer. In fact, just two weeks ago my best friend of 41 years died of liver cancer. I was with him for the last 5 days of his life till the moment of his death. Triste: I know you initially recorded “Drowning Moon”, but leaving that story for a while, what attracted you to the lyrics of “These Wishing Fields”? Bob Cheevers: The lyric to “Wishing Fields” had a longing to it that reminded me of some of the characters in my Civil War songs…the toil and the suffering that was overshadowed by the hope for a better tomorrow. Triste: Normally you write your own lyrics. What was it like writing the music around pre-existing words? Bob Cheevers: It was surprisingly easy. Plus you have to remember I’m a Nashville songwriter and have lots of experience in writing from every angle of a song. Triste: I think your version of “These Wishing Fields” is very good – you’ve certainly put the Bob Cheevers stamp on it. Are you happy with the results? Bob Cheevers: Absolutely happy with it. I’m very proud of how it sounds and the mood it portrays. Its a perfect enmeshment of two people’s work. Triste: Can you tell me the story of how you recorded “Drowning Moon” by mistake? Is it going to be on your new album? Bob Cheevers: When Shaun told me to choose a lyric from the ones on his web site, I did just that. What I failed to do was look to see if someone else had chosen that lyric already. I was really taken by the story of “Drowning Moon”. I first asked Shaun if he minded that I change a few words here and there and maybe add a line or so. He said he didn’t mind, so I sorta reshaped the lyric into what I felt made it stronger from a rhyming, rhythm and story standpoint. Then I wrote the music and told him how excited I was about “Drowning Moon”. His reply was “But Bob, someone else has already chosen that one”. Ooops! By then, I was so invested in the song and so pleased with it, I knew I’d have it to use somewhere along the line. As fate would have it, my upcoming CD is a guitar/vocal CD of songs that I feel real good about playing by myself. Its called One Man One Martin, and “Drowning Moon” is the second track on the CD. One of the most beautiful Americana records that have been released over this past year is without any doubt this captivating album. The “tribute to a star that never was” is a concept album conceived by Shaun Belcher, a most creative character who, amongst innumerable other activities, runs the Flyin Shoes website. The fictitious Trailer Star is the deceased musician to whom this album has been dedicated. Shaun wrote the lyrics for 15 songs and had them put to music and recorded by a fine selection of Americana artists, mostly troubadours from the folk genre. Sometimes the songs are more rock-related, like the solid Kinks-ish Clown’s Car by Jim Roll and Brian Lillie, with a heart-warming Augie Meyers-organ. The 15 tracks are 15 beautiful songs, which, in spite of their diversity, constitute one coherent whole. They paint a picture of the darkish, Twin Peaks-like world of Trailer Star. As the album is actually a chain of great songs, it is nearly out of the question to mention its highlights. Let’s try it anyway: the haunting The Devil’s House by Claudia Scott and the renowned multi-instrumentalist Fats Kaplan will deprive anyone of one’s sleep. These Wishing Fields, One Horse Town and My Little Town by Bob Cheevers, Dan Israel and James McSweeney respectively, are intimate, personal revelations in the style of Guy Clark and Willie Nelson. There’s the intriguing, almost chilling November Morning Sun by Cicero Buck, with the highly talented vocalist Kris Wilkinson, whose harmonica creeps up and down your spine. Lambchop’s Deanna Varagona calls up goose pimples with the dismal Bled Dry, Ronnie Elliot relives Johnny Cash in the dark Devil’s Address, there’s an obsessive violin in Brian Lillie’s Drowning Moon, with direct, unemotional vocals. Need one go on? This has become an album that will absorb the listener completely, that will embrace him, to never let him go. The fact that the greater part of the proceeds of the unique project will be donated to Cancer Research in Great Britain is yet another incentive to buy this must-have album. First of all buy this album as a minimum of £8.00 goes direct to Cancer Research UK. Secondly buy this album because it is simply excellent.15 Alt. Country stars , some new to me , covering the songs of the enigma that is Trailer Star. On reading the trailer notes (excuse the pun) I was completely taken inby the sad demise of Trailer Star.On further investigation however , all is not as it seems.This is indeed an urban legend worth looking into.O.K. I’m digressing slightly from the point but I would invite you the reader to take up the challenge to find the real Trailer Star. Back to the album,15 tracks penned by Shaun Belcher, English poet ,songwriter a.k.a Trailer Star? Whoops I’m digressing again! I listened to this album cold without reading the liner notes or even the track listing. Iwas convinced that the songwriter was an American Alt. Star in the making. Wrong! He’s British Hooray! Many of the songs do conjure up images of dust bowls,one horse towns, the devil and heartache, so it was great to see that Shaun is from our own fair shores. There are no duds on the album although I found the closing instrumental maybe a little surplus to requirements. Stand out tracks for me were ‘ Clown’s Car’ by Jim Roll possibly the only upbeat number on the album although still tinged with sadness. ‘Drowning Moon’ by Brian Lillie ‘ Made a cross out of sticks and bones’ images of bayou moons , shadows and things not of this world left me feeling slightly uneasy, a theme running through this whole album. The wonderful Bob Cheevers leaves his inimitable mark on ‘These Wishing Fields’.Ronny Elliot’s rendering of ‘Devil’s Address’ is just a classic angst laden song about heartache and loneliness. I could go on and on about the quality of this record so please do yourself a favour and go out and buy the damn thing! To sum up ,a quote from ‘The Lynton Flood’ sung by Kevin Meisel ‘Nobody knew where the water came from on that fateful day.’ Then again any quote from any song would sum this superb compilation. Yours in all that is good about music. “A tribute to the star that never was” it says on the sleeve, tongue firmly in cheek as it details how the underground folk country star, a seminal influence on English country blues, died when his pick-up left the road near Newbury, leaving behind only a rare collection of demos and old reel-to-reel tapes. The web site even has a nice picture of the tribute ceramic teapot to go with the CD box set. It’s an amusing wind up, but there a serious backdrop. All the lyrics to which the fifteen artists have set music to honour their lost colleague are written by freelance journo Shaun Belcher whose father suffers from cancer and a minimum £8 from each sale is going to Cancer Research UK. He’s an impressive and authentically steeped writer and deservedly gets an equally impressive if largely little known roster of contributors to interpret his material. Anglo-American duo Cicero Buck, who run the label and whose singer Kris Wilkinson was instrumental in getting the project together, offer the sunny leaving song November Morning Sun while other familiar names include Lambchop’s Deanna Varagona (a dusty acoustic blues Bled Dry), Terry Clarke (armed with 12 string for art meets history in a metaphor number Donati’s Comet) and Bob Cheevers (doing his Willie Nelson meets Townes on Wishing Field’s tale of a failing farm). But the lesser known names are no less wonderful. James McSweeney’s country blues My Little Town sounds not unlike Stan Rogers, Brian Lillie gets blues swampy (you can even hear the water sloshing) on the moody Drowning Moon while Ronny Elliott sounds uncannily like Johnny Cash on the magnificent Devil’s Address, a song that should indeed have found its way to the Man in Black’s door. Elswhere I’d make note of Diana Darby’s spooked Desert Dust, Kevin Meisel’s Prine-like The Lynton Flood, Jim Roll’s jaunty Jonathon Richmanesque Clown’s Car and the closing English Country Heart 12 string dobro instrumental by guitar virtuoso Ian Kearey, but there’s nothing here to have you press the skip button and several warrant hefty use of the repeat. Old Trailer would have been darn proud. Release date: July 1, 2003. Visit the official Trailer Star website. If you listen closely you might begin to think your ears are playing tricks on you. At least a couple of the singers sound, at times, like some really big “names…” Full tracklist and artist details on lyrics page. Q: This “Trailer Star” thing — what’s it all about? Q: Well, the CD is much much better than I thought it would be. The only thing that might be better is a fresh basket of homegrown tomatoes. A: Old Willie there again. Tomato? That Townes’ old label aint it? Q: Yeah, but I was thinking about a Guy Clark song. You like Townes? A: Well, he was always a lot better than most people thought. Q: So… all lyrics/words really were written by Shaun? charity album with partial proceeds to go to Cancer Research UK. Darby’s Desert Dust and Bob Cheevers’ These Wishing Fields. Conceptually this album is brilliant. A spoof tribute to a great lost underground folk artist whose van left the road somewhere near Newbury is a very clever way to link the artists together. In reality, the purpose behind the album is very noble indeed. A massive £8 from the sale of every record is being donated to Cancer Research UK. The album has been put together by Cicero Buck and Shaun Belcher, a freelance journalist. Belcher also provides all the lyrics for the record. His writing seems steeped in the nostalgic melancholy of Woody Guthrie or even Thomas Hardy and works very well in a peculiarly English way. So far, so good bit the question remains. Is the music up to the quality of the overall concept and layout? The answer to this is yes and no. The first half of the album is fantastic, containing some extremely well crafted songs. To this listener however, the tail end of the album contains too many home demos and half baked ideas. Cicero Buck themselves provide the highlight of the album with the haunting ‘November Morning Sun’. Also particularly strong are contributions by Steve Roberts and Jim Roll with ‘Dusty Trees’ and ‘Clown’s Car’ respectively. Elsewhere quality is slightly more variable. Terry Clarke’s ‘Donati’s Comet’ and ‘English Country Heart’ by Ian Keary let standards slip somewhat but Bob Cheevers provides a strong tune with ‘These Wishing Fields’. There is nothing unlistenable on this record and it is harsh to criticise the music too much when the album is for such a worthwhile cause. Buy this record and do your bit, even if you might need to use the skip button on a couple of occasions. Euroamericana chart for April 2004!